Do you know if you have enough? Do you know how much is enough? If you can't answer these questions, Master Your Money is for you. 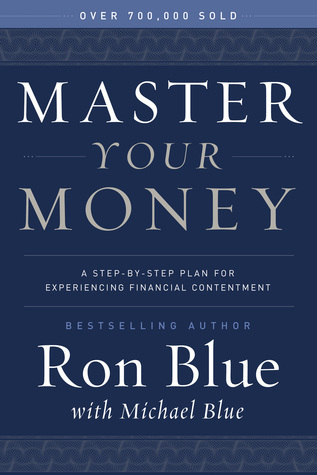 In this book, Ron Blue extracts principles from God's Word and applies them to your financial portfolio. I enjoy reading financial books, everyone has an opinion on the topic! I really like how this book is laid out and how money is explained. There is a pretty good chapter on debt and instead of scolding us on getting into debt, it explains how to get out of it. There is also a great chapter on interest and how to save money the smart way. The end of the book has a ton of details about what to do in preparing a will or your finances when you pass away. So needless to say this book covers a lot. It has been updated to current times, which is important because things change. I can't say I read anything I hadn't read before but I did like the multiple charts that showed examples of budgets and then left a blank one for the reader to fill out. So overall I would say this is a good book when it comes to handling your money in a Godly manner (tithe) and smartly.